WASHINGTON – The science is in and the time to act on forest management is now if the government wants to avoid more catastrophic wildfires, a panel of wildfire experts told a House committee Thursday. 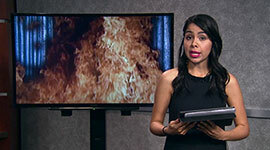 Diane Vosick, director of policy and partnerships at Northern Arizona University’s Ecological Restoration Institute, said there is enough evidence to prove that forest restoration and tree-thinning will decrease wildfire risks and provide other environmental benefits as well. 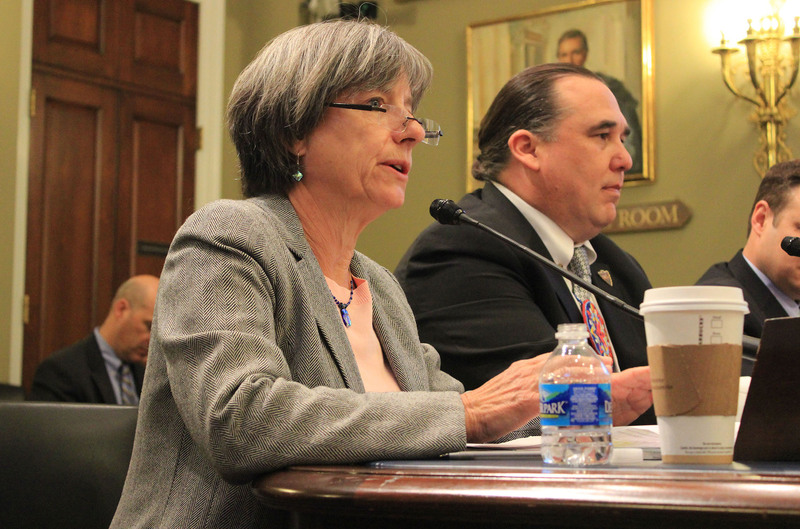 “We have a lot of science … to support the need for action,” Vosick said in testimony to the House Natural Resources Subcommittee on Federal Lands. Rep. Tom McClintock, R-Calif., the subcommittee chairman, said the Forest Service has taken up “misguided policies” in recent years that have led to “overcrowded and overgrown” national forests. “Over the past 30 years we’ve seen an 80 percent reduction in timber harvested from our national forests, and in the same period (an) … increase in acreage destroyed by fire,” McClintock said. And restoration provides other benefits. Vosick said tree thinning would “absorb lightning strikes and keep fire on the ground” while also preparing the forest for imminent warmer weather. “So by doing good ecological restoration you’re actually positioning it for our changing climate,” Vosick said. 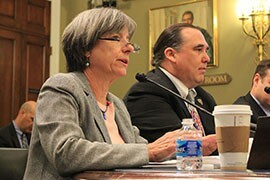 Phil Rigdon, president of the Intertribal Timber Council, testified that tribes have done a more effective job at managing wildfire risk – with about a third of the money that the Forest Service receives for forest and wildfire management. “Indian forests are more economically and ecologically productive, with superior forest health and smaller, more controllable wildfires than on federal lands,” Rigdon said. She said tree-thinning is particularly beneficial to Ponderosa pine forests, like those in Arizona, but said in her prepared statement that there is no “one size fits all” solution. That was echoed by Mitch Friedman, executive director of Conservation Northwest, who said more forest management may be appropriate in some areas, but that the government should proceed cautiously. “We think it’s best to focus on restoration for ecological resilience with reduced risk of uncharacteristic and harmful fires being a benefit but not the sole or primary driver,” Friedman said. The panelists also talked about the cost of forest restoration – which they said is far lower than the costs of fighting catastrophic fires. The Schultz Fire, which burned 15,000 acres of forest near Flagstaff in 2010, had a total economic impact between $133 million and $147 million, according to a report by Vosick’s institute and the W.A. Franke College of Business at NAU. 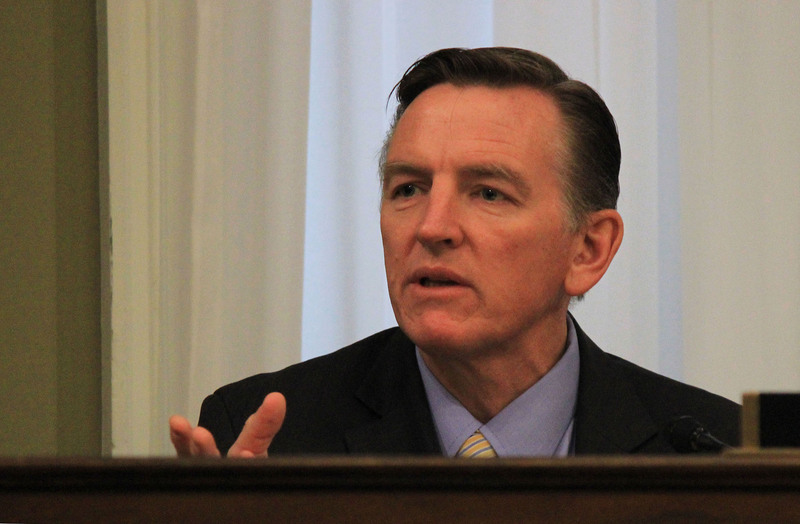 Rep. Paul Gosar, R-Prescott, also noted the importance of funding mitigation efforts. “A lot of folks up here don’t realize that if you fund … mitigation, you save tons on the other end,” he said, noting that the two most catastrophic fires in Arizona history – the Wallow Fire and the Yarnell Fire – took place during his first two terms in office. The hearing came on the heels of a milestone for the Four Forests Restoration Initiative, which Vosick co-chairs. The initiative aims to implement restoration treatment across four Arizona forests. Last week, the supervisors of the Kaibab and Coconino national forests finalized paperwork that moves the project a step closer to restoration on more than 500,000 acres of land, according to a statement from the U.S. Department of Agriculture. The other forests in the initiative are Apache-Sitgreaves and Tonto. The science is in and the time to act on forest management is now if the government wants to avoid more catastrophic wildfires, a panel of wildlife experts told lawmakers. They said the cost of forest management is lower than the costs of fires of recent years. Diane Vosick of Northern Arizona University's Ecological Restoration Institute testified that there is enough scientific evidence to prove that forest restoration is beneficial and necessary. 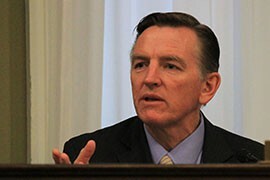 Rep. , R-Prescott, long a proponent of forest management efforts, said the two most catastrophic fires in Arizona history occurred during his time in office.